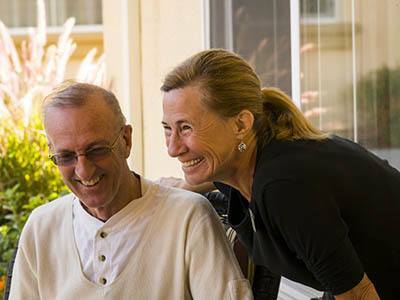 With Shasta Regional Medical nearby, think of Willow Springs Respite Care in Redding, CA, as the perfect solution for your respite or short-term assisted living care needs. Whether in need of rehabilitation after an injury or respite care for a loved one, our community has the team in place to aid in healing and recovery. As our respite guests step through the doors of Willow Springs Alzheimer's Special Care Center, they immediately feel at ease. The beautiful furnishings and light-filled community rooms are the perfect place to rebalance and heal. Activities like Zumba and bowling can help you gain strength and feel good before, during and after your rehab sessions. Dressing, bathing, and medication management assistance is offered, among other comforts to help you with daily chores. Short-term assisted living and respite residents can choose from private or semi-private rooms and have access to the full range of amenities during their time with us. These features range from three meals a day in our restaurant-style dining hall to a wide array of daily entertainment choices. We even have a ping pong table for your enjoyment! Willow Springs Alzheimer's Special Care Center is the perfect place to sit back, relax and heal without the pressures of daily chores and tasks at home.